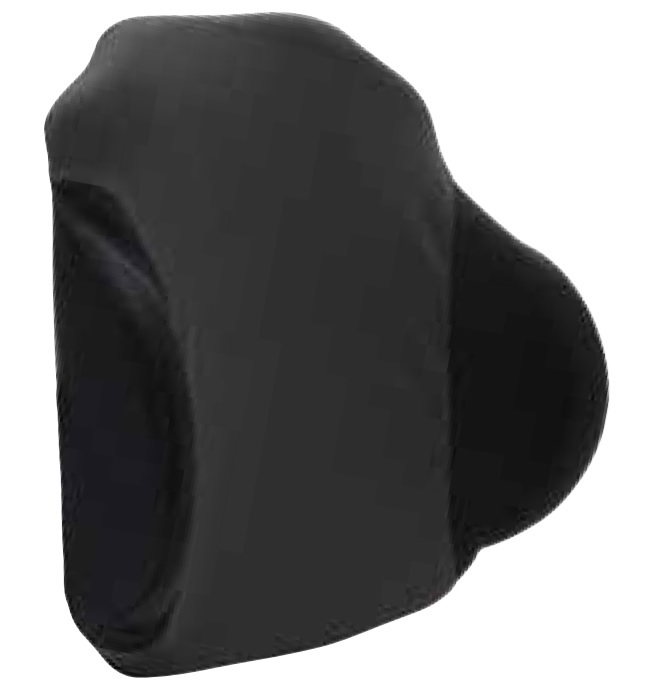 Netti Kyphotic is designed for users who require optimum stabilization of their spinal curvature. The upholstery is designed to follow the curvature, providing support and stability, and maximum pressure distribution for the kyphotic spine. Netti Kyphotic is as the name implies designed for users who require optimum stabilization of curvature thorax = kyphosis. and maximum pressure distribution. It has a high elastic textile at the center and a breathable fabric on both sides to ensure good comfort. The backrest cushion in combination with the velcro straps gives opportunity for a more upright seating position. This allows better nutrient absorption, respiration and increased activity level. The backrest cushion comes standard in 4 sizes, but can be offered in other dimensions upon request. Ergonomically designed to follow the curvature of the kyphosis. The middle part has a cut out section to provide maximum pressure relief of the spinal curve. 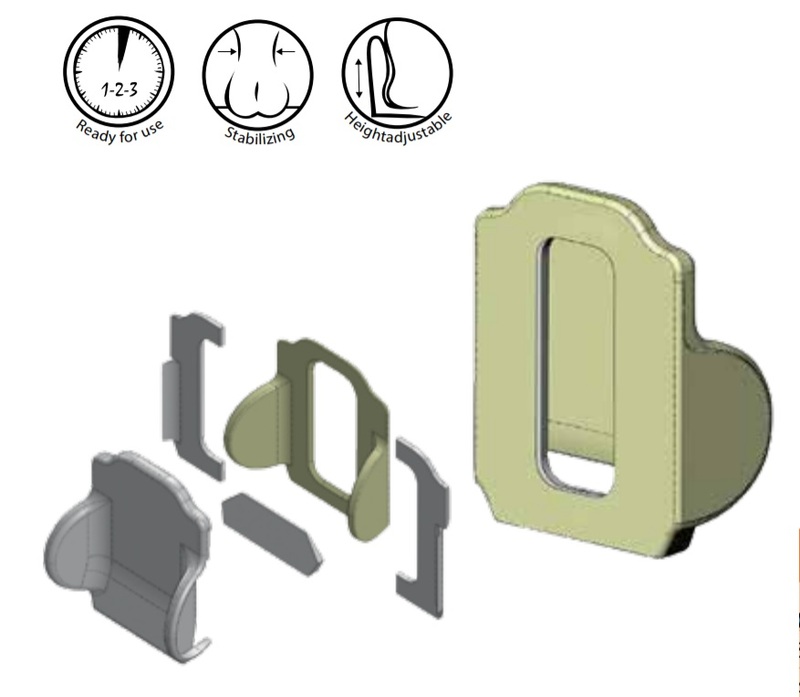 Low lateral supports with ventilating 3D textile. The low lateral supports ensure comfort and freedom of move­ment for shoulders and arms. The lower part of the base is removed so that the cushion can be placed right next to, and aligned with the seat cushion. Unique design ensures freedom of movement for shoulders. Multi layered core of foam (PU) with pressure relieving properties. MARS textile/fabric with excellent ventilating and elastic properties. Elastic fabrics ensure that the user can sink into the cushion and take advantage of the good pressure distributive properties. Designed to provide support for the lower part of the spine and its curvature.